I've had my Sedona Lace makeup brushes for maybe three months now and i totally love them. 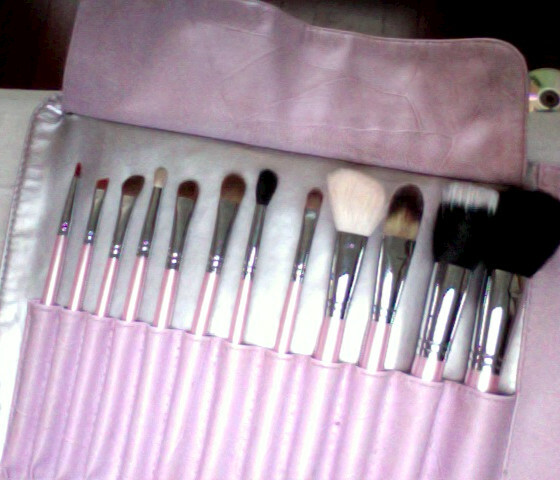 For $49.95 you get 12 makeup brushes that are soft and have minimum shedding. I say minimum because my powder brush sheds still after washing. All the other brushes do not....(maybe I got a defect powder brush? *shrug*) Aside from that no complaints. Im absolutely obsessed with pink but if you're not a fan Sedona also has brushes in black. Even though I am not a makeup professional I like the results that the brushes yield when I do my makeup. (aka my face is beat to the gods...lol) I believe evey girl should own makeup brushes it makes a HUGE difference in makeup application.